Memoirs and Essays of the Vietnam War (Published in MWSA Dispatches Winter 2019) - The Works of Joe Campolo Jr. 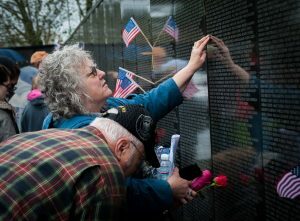 The Vietnam War Memorial in Washington D.C, a wall of healing. This week’s story is a collection of memoirs and writings from a group of people who were involved in or affected by the Vietnam War, in some fashion. Many of the people are my personal friends and/or people I have become acquainted with through my writing. There are thousands of other stories out there, and each one deserves to be heard. This collection of stories includes authors, reporters, military veterans and civilians alike. Each story reflects an affect or experience of the Vietnam War by that particular individual, and yet at the same time common to many of us who were affected by or involved in the war. Some people have multiple stories from those days. I, like many other military veterans of the war, also have memories as a civilian during our long military involvement in Vietnam. Many of my military experiences appear in some of my earlier blog stories. I believe everyone from that era has a story to tell, and I am honored to pass on these memoirs and writings which have been shared with me. I believe you will enjoy them. 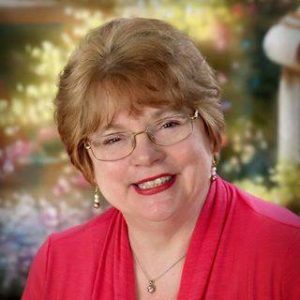 JoAnn Forrester is an author and business consultant. She has shared her thoughts on those days, and the aftermath. Vietnam, the war of the Baby Boomer generation, left a multitude of raw scars on our national conscience. A war, where 9.2 million American men and women served through-out the world, mostly during an eleven year period (Jan. 1, 1965 – March 28, 1973), as warriors and peace keepers. 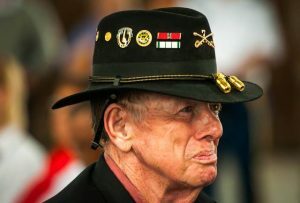 Of that number, 2,709, 918 Americans, or about 3.5 percent of the boomer generation served in Vietnam, leaving 58,228 killed, 304,705 wounded and 2,400 listed as missing at the end of the war. For those who came home from the war…it really never ended. There were no parades, no thank you, no you did a great job…for most there was rejection, blame and hostility. Coming home and adjusting to an uncivil world took its toll on our men, women and their families. Many problems resulting from PTSD and Agent Orange were ignored and/or denied by the Veteran Administration and US government thus creating more hardships that resulted in early deaths, suicide, disabilities, and alienation. Slowly we have begun to deal with our past and try to soothe the wounds. Each man and woman who served has a story to be told and heard. A salute to all that served. 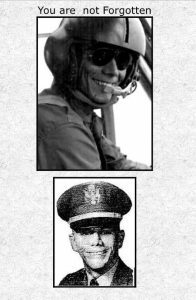 Major Michael O’Donnell was a helicopter pilot killed in action near Dak To, Vietnam in March of 1970. Although I did not know Major O’Donnell we were in Vietnam at the same time, and in some of the same places. This is a poem he penned several months before his death. 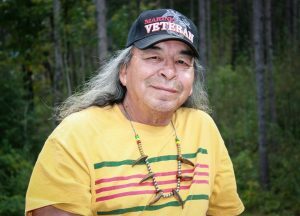 Jim Northrup was a U.S. Marine Vietnam War Veteran, a proud member of the Ojibwe tribe, a fellow author and a personal friend. He passed away in August of 2016. Shrinking Away is one of Jim’s many fine writings, I believe you will enjoy it. Survived the war, but was having trouble surviving the peace. Couldn’t sleep more than two hours—was afraid to be without a gun. Nightmares, day mares, guilt and remorse, wanted to stay drunk all the time. 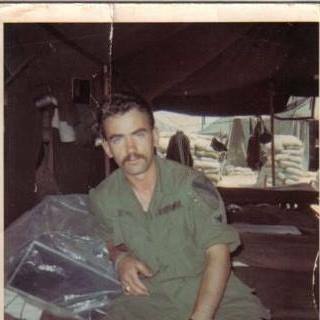 1966 and the VA said Vietnam wasn’t a war, they couldn’t help but did give me a copy of the yellow pages. Picked a shrink off the list. 50 bucks an hour… I was making 125 a week. Spent 6 sessions establishing rapport, heard about his military life, his homosexuality, his fights with his mother and anything else he wanted to talk about. At this rate, we would have got me to 1999. Gave up on that shrink, couldn’t afford him and he wasn’t doing me any good. Six months later my shrink killed himself. Great, not only guilty about the war but new guilt about my dead shrink. If I only had a better job I could have kept on seeing him. I thought we were making real progress, in another 6 sessions I could have helped him. I realized then that surviving the peace was up to me. I was born to hate war. There, I’ve said it. You see, my father was a combat Marine who fought all thirty-six days of the Battle of Iwo Jima. His squad was killed off to a man, except for him. Twice. That experience colored the rest of his life—and most of mine. He had nightmares. He screamed in the night if my mother rolled over and accidentally touched him. He sobbed with pride and sorrow every time he saw the film of those guys raising the flag on top of Suribachi. He made me crouch down under the picture window lest the “Japs” shoot me through it. He beat my mother—and me. When I was ten, he planned to kill us and his parents. Fortunately, my grandfather and uncle wrestled the gun away from him and the cops put him in a straight jacket. He spent at least a year in the hospital writing letters filled with ghosts and anger and paranoia—and sent them to my mother. Inexplicable, unintelligible letters that she hid unopened in her jewelry box where I found them after her death years later. In the 1960s, I was a college student. Period. 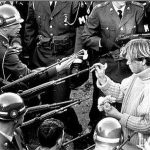 I didn’t protest the war in Vietnam, although an unending stream of friends, classmates and acquaintances did. That was because an unending stream of our friends, classmates, and acquaintances were going to Vietnam and an unequal number of them were coming home safe and sound. Throughout all of this, my philosophical explorations never veered left or right of center. Neither abyss offered much comfort. My interactions with young men making the transition from warrior back to student were sorrowful, tender and empathetic. I hung out with them. Held their hands. Listened to their stories. Grieved with them. Wrote about them. Welcomed them home. However, I had one rule. One absolutely unbreakable rule. I didn’t actually date service men—or veterans of war. Any war. I had a horror of falling in love with a man like my father, who I adored, feared, and worried about day and night. Most especially, I didn’t want to wake up in the middle of the night to find my husband pacing the house with a loaded rifle. I didn’t want to find him in the bathroom crying until he threw up. I didn’t want to sit outside a hospital room while he had shock treatments. I didn’t want any more of that. No way. But then I found the perfect man. We studied together in the library. We both wanted to travel. We both were straight arrow kids. No guns. No smoking. No drugs. Okay, so he drank beer. Our dates consisted of dinner out, a trip to a hobby store to buy a model airplane kit, back to his apartment to watch Star Trek—and then the rest of the evening assembling and painting the model. The best thing about him was that he hadn’t passed the physical. You know. THE physical. So, eventually, with all of these special qualities, I let myself fall in love with him. We had been married three years and six months and were living in Japan when the letter arrived. He’d been drafted. He was one week from turning twenty-six. The bastards at the draft board decided “latent sugar diabetes” didn’t really exist so they reclassified him and drafted him on the same day. And we had to go home. I was terrified. I cried. I prayed. I begged. I threw up. But no, he wanted to go home and report. He really was a straight arrow, you see. It was Thursday. He had to report on Monday. He packed what he could while I sulked. We telegraphed the draft board that we were out of the country but that we were coming. Despite all the complications, we arrived back in the States late Sunday. In the middle of the night, we got a phone call from Japan. The draft board, on hearing we were hurrying home, had given him a break. He had ninety days to join something. We spent the reprieve arranging for our things to be shipped home—and joining the Air Force. I was still mad the day we showed up for him to enlist and immediately be sent to off to Basic Training. 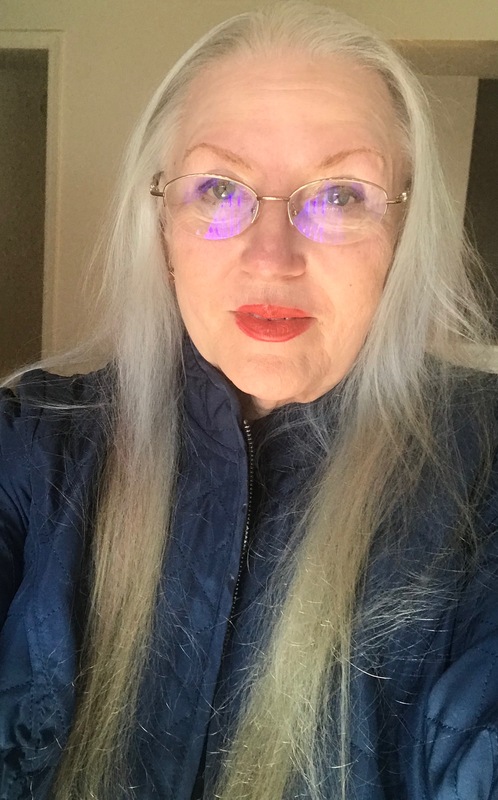 My fear—that I’d have to stay with my parents and endure my dad’s heartbreaking craziness again—was assuaged when my husband arranged for me to stay with his perfectly lovely and sane parents. He was the oldest inductee that day so he had to carry the orders. By the time we arrived at the airport, my heart was pounding. “Don’t let this change you,” I begged. We were hugging when the plane taxied up to the gate. He tucked the envelope with the papers under one arm and turned to face the passengers as they came through a sliding glass door. The last passenger through was a business man in an expensive suit. Without a word or even a moan, he dropped his briefcase and fell against me…knocking me backwards. His head crunched when it hit the marble floor. Lying face down at my feet, he released his urine and died. The airline called for the inductees to board first. The young draftees gathered around the prostrate man, eyes wide. “Johnny, he’s dead,” I said to my husband. The airline called them again. My husband stood up. His face had already changed. He picked up the envelope and squared his shoulders. Then he turned—and with the younger draftees following behind him like puppies—went through the gate. I sat down beside the dead man, realizing that I’d already changed too. That got through to me and I cried—great, open-mouthed sobs—as the plane took off with my husband. Author of “In the Shadow of Suribachi,” “Windshift,” “Vala’s Bed,” “USERNAME,” and other books available on Amazon. 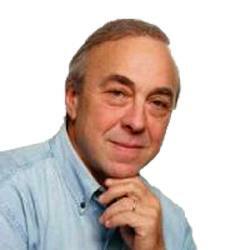 Philip Caputo is a Vietnam War Veteran and an award-winning author. His book A Rumor of War is considered to be one of the finest writings on the Vietnam War. I am proud that Phil has shared this excerpt with us. 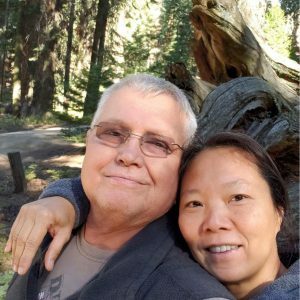 Ric Hunter is a Vietnam War Veteran, a retired USAF pilot, and a Red Engine Press award-winning author. His stirring book Firehammer has been widely acclaimed. 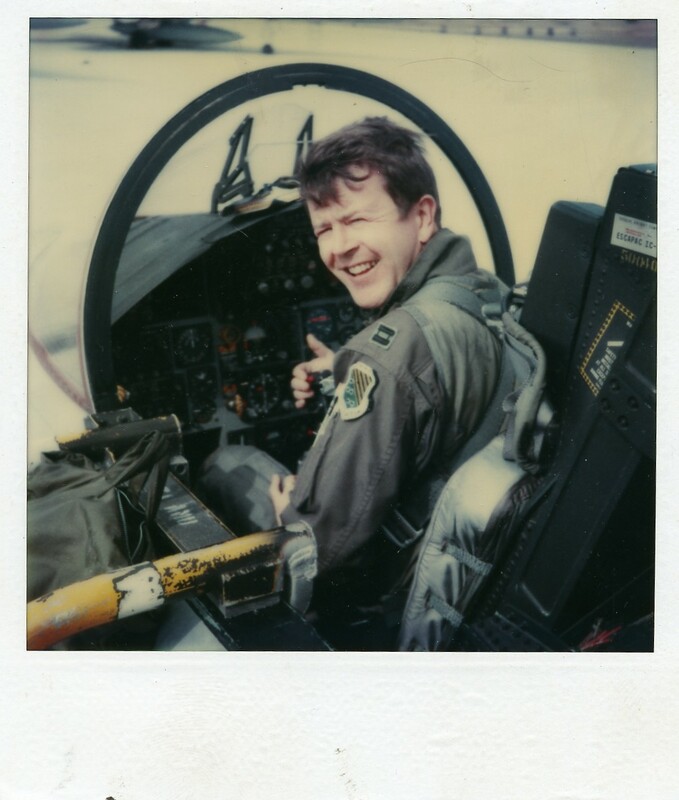 In May of 1975, I was privileged to fly the F-4D “Phantom” as a pilot in the last battle of the Vietnam War. 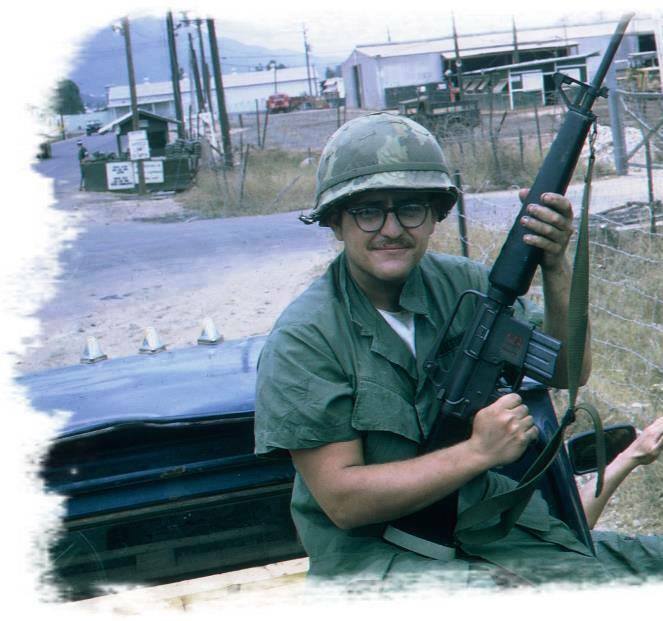 In that battle, I avenged the loss of my high school best friend, a Marine, killed by an NVA sniper near the Demilitarized Zone in ’66. What’s it like to fly the world’s leading fighter aircraft against an enemy? This enemy was trying to kill some 150 marines trapped on an island in the Gulf of Thailand. Flying the aircraft at this point is instinctive, I can’t remember any particular inputs as I rolled it over on my back and dove at the ground at 500 MPH. What I do remember is making sure I had the weapon switches and gun sight set and above all—not wanting to blow any marines to kingdom come. They were at times in hand-to-hand combat in the jungle. That meant we had to get very close to the bad-guys, Cambodian Khmer Rouge of the “Killing Fields” fame. My wingman and I put 78 rockets and 20 MM cannon on the enemy and ultimately helped free those trapped marines. The F-4 was a beast, and in the right hands was lethal. Over 5000 of them were produced by McDonnell-Douglas and the Phabulous Phantom was considered the “work horse” of the Vietnam War. ~Ric Hunter is a retired Air Force fighter pilot who wrote a historical fiction novel about this period in the war. It is entitled FIREHAMMER, and was nominated for a Pulitzer Prize. It is available on Amazon. Jimmy Fox, a U.S. Army Vietnam War Veteran and I became acquainted at a Veteran’s event some years ago, and I am proud to count him among my friends. Jimmy has penned several writings on the war, No Peace is an excellent one. We came home nearly forty years ago to a place that we didn’t know, and that didn’t know us. We tried our best to fit in, to go back in time, trying to return to who we were and what we had been just a few short years earlier. For most of us, it didn’t work. The world that we knew, and that thought they knew us, was no longer there, gone, along with our innocence, and a lot of our friends. Many things, and in some cases, people, that just a few years earlier had meant so much to us, meant nothing now—and the feeling was mutual. Often, the one who had promised to wait forever, didn’t… but we never knew ‘til we came home. Sometimes, even churches that we went to before didn’t want us sitting in the same pews with “good” people on Sunday. After all… WE had blood on our hands…Things like this are hard to forget, or forgive. So, time goes by, many of us found someone who accepted us, and was willing to put up with our little “quirks.” Soon we had kids, a place to live, and in some instances, after many failed attempts, a pretty decent job. And, we had a dog. (him we could trust) It seemed as if we had everything we needed…………..We almost forgot………..BUT……. But there was NO PEACE. There was NEVER any PEACE. Not really. Things were just never the same for us. Everyone always wondered why, but they didn’t really want to know. Some people said “If it’s that Vietnam thing, get over it. It wasn’t really a war, and besides it was a long time ago. Grow up.” Most people don’t deserve to know, most never will. We do. The people we choose to let into our lives are either like us, or accept us for who we are. We seem to surround ourselves with others, who like us, also cannot forget, yet who we know we can forever, and always, really trust. Those that know what we are about, what is in our hearts, and that share the love we have for each other. 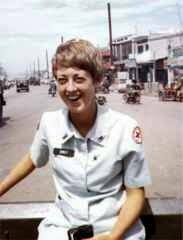 WE WILL NEVER FORGET, that’s what makes us,………The Vietnam Veteran,……..
Emily Strange, a Vietnam War Donut Dollie, was a writer as well. She passed away in 2016. One of her close friends, fellow Donut Dollie Rene Johnson, was kind enough to provide one of Emily’s writings for us. and the men who used them. (however briefly) for boys who had been trained to kill. to return sanity to a world gone insane. as I created laughter in the mud. and pulled the cork in tightly behind me. Putting this article together was a very enjoyable experience. I am indebted to all of the contributors who took the time and effort to provide these writings. Great job, Joe! I read the stories, especially Joyce’s and was astonished to learn about her experiences. WEll done! Thanks Ric, and thanks again for your story! And thank you so much for your story Joyce. I was brought to tears reading the posts here! 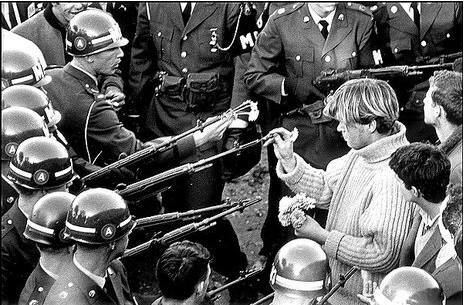 I graduated high school in 1965 and many of my friends were drafted then. I prayed that they would return safe but some of them didn’t and the ones that did weren’t the same boys. I hated that war as most of us did and hated the way the guys that did come home were treated. I’m sad that this is part of our history and that it will live with me till the day I die. I’m sure there are many people who know how I feel. Thank you for your kind thoughts, Georgean. Us Veterans very much appreciate hearing from people like you. My personal experience regarding my return from Vietnam is also on this blog. It’s the story called “The Return”. I second Ric’s remarks, Great job Joe. All of these stories are quite interesting and Joyce’s experiences are indeed astonishing. A point of interest Joe, I Too am from Kenosha. Graduated Bradford in 1962 and left when drafted in 65. As they say, small world. Thanks much Duke. Where do you live now? Excellent collection of memories from a wide spectrum of participants. I was deeply moved by many of the poems and personal stories in your article. Joyce summed it up perfectly in her comment that that period of time affected us all and influenced who we’ve become. Great job, Joe! Thank you Jimmie, good to hear from you. Glad you enjoyed the stories. I volunteered. Half infantry and half admin. I was one of the lucky ones. After reading these posts, I’m done for the night. We all had a job to do, thanks for doing yours and good to hear from you Bill. I haven’t felt this good about being a Vietnam Vet in a long time. Your writing and the works you gathered taste like water in the desert. Glad to hear from you Tom. Welcome home! Thank you for your kind comments. I hope you enjoy some of my other blog stories as well…more on the way.